As an applied analytics minor you’ll learn valuable data analysis skills that complement any major. The demand for employees in all fields that can make sense of large amounts of data is increasing rapidly. 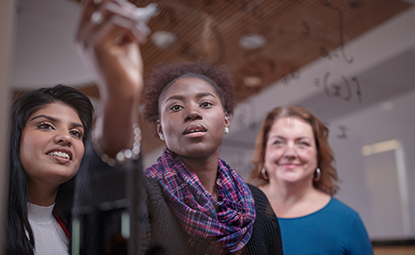 You can make yourself stand out to employers by adding an Applied Analytics minor to your major in accounting, economics, finance, marketing or any other area.